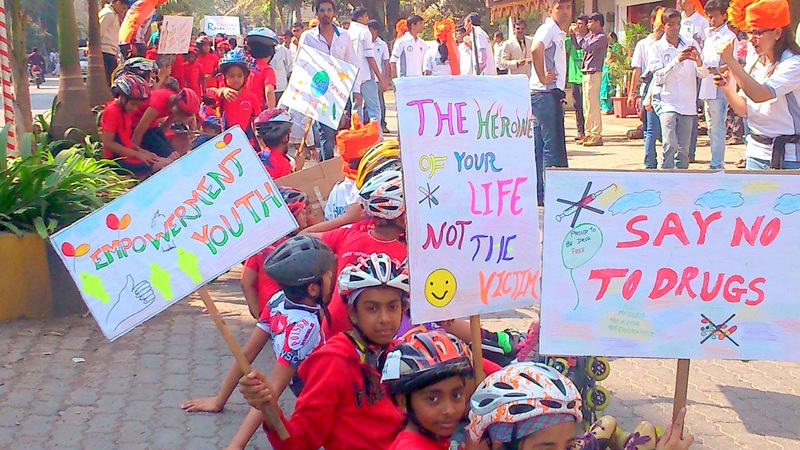 On Tuesday, 4th February 2014 the zealous volunteers of Sandip Foundation organised a Social Carnival, a rally to promote social awareness, various environmental and recent issues by the students. 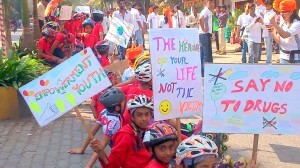 The procession held from Jehan circle- College road- Gangapur road- Canada Corner path at 9:30 am to 12:00 am noon saw kids and youngsters actively participating and contributing to this thoughtful cause. 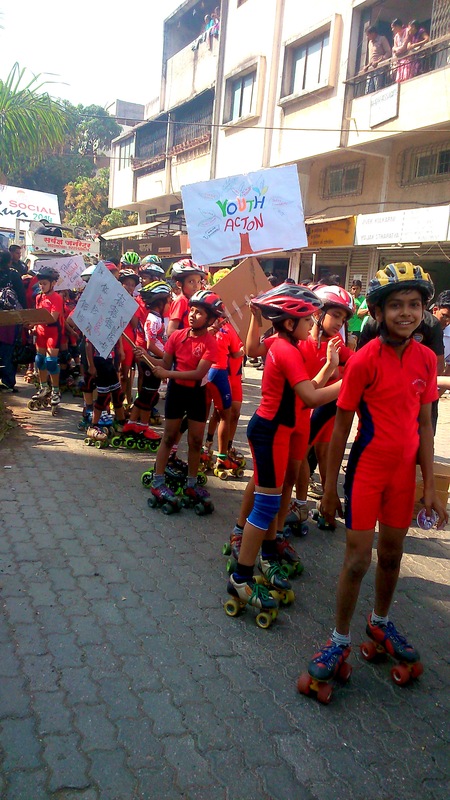 Vinay Skating Club vigorously supported the rally by training the students to move on wheels with slogans. Over 500 students took part in the rally during the fresh, unhampered morning hours. 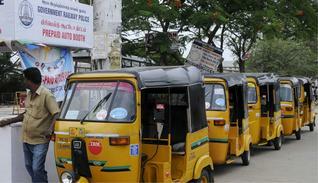 They raised slogans and held placards with the messages against social evils that affect the society. 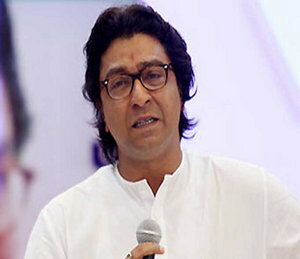 The technical institute aimed to spread numerous messages like- Say NO to plastic bags,Youth empowerment, healthy living, Anti Drug, women’s Safety and Incredible India. 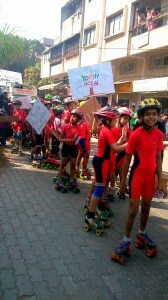 Students of ‘Vinay Skating Club’ were also the part of the Carnival. Some of the students pulled off an attractive attire to attract the crowd and enhance appearance of the rally. A huge crowd of dedicated students just had one passionate motive to create social intensity among the citizens and give a meaningful message to the people around. 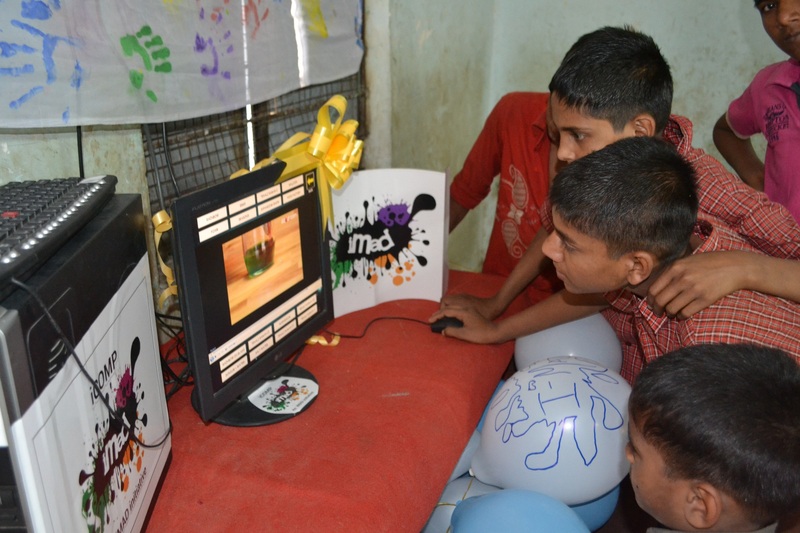 The social awareness carnival concluded with enthusiasm and with a hope that the message of social awareness is extracted by the citizens of Nashik.